Welcome to our hotspot for the largest Bird Sale on Brisbane's northside! 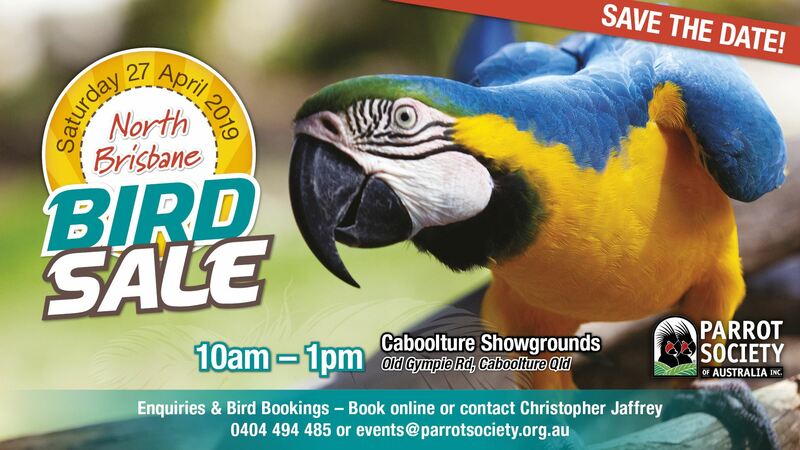 Every Autumn we return to the Caboolture Showgrounds, with a wide array of bird and trade vendors collecting for the general public to come and explore. This is a family friendly event, and wheelchair accessible. All birds are examined prior to entry by an Avian Veterinarian, and we adhere to all relevant Codes of Practice. For more information please click on the Event Image below!